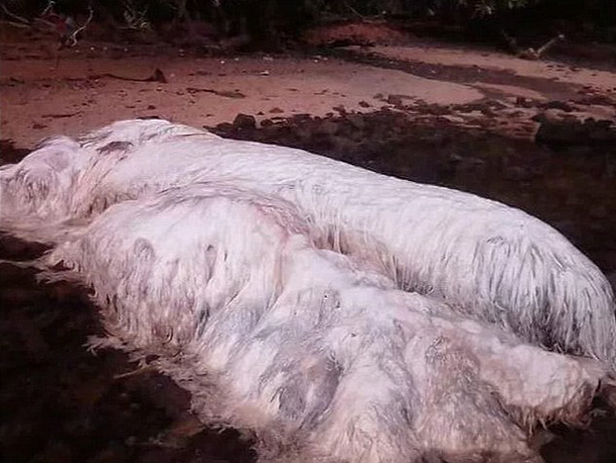 A big, white, "hairy" sea creature has washed up on a beach in the Philippines to boggle the minds of denizens and netizens. The unknown creature of the deep washed ashore at Cagdaiano on Dinagat Island. 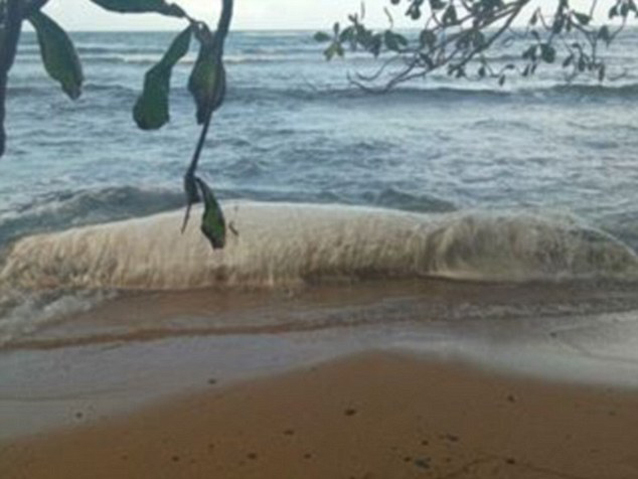 Locals flocked to the beach to see the unknown and unusual creature that showed up following an earthquake on Sunday. The 'beast' came ashore following Sunday's earthquake. People were baffled by the creature. It is one of a number of strange things spotted around the Philippine islands, with images being shared online and going viral. 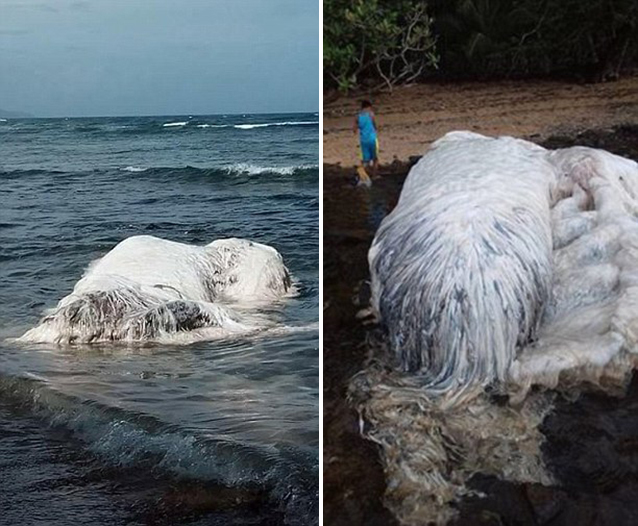 Some have suggested the creature looked like a big wet shaggy dog or a polar bear. People did not know what the 'globster' was. Some have suggested the mass could be a big, wet, hairy dog. But there is a more likely explanation for the "globster" – the official name given to an unidentified mass that washes up on a beach. The gelatinous beast is likely to be the rotting carcass of a whale, the Daily Mail reports. 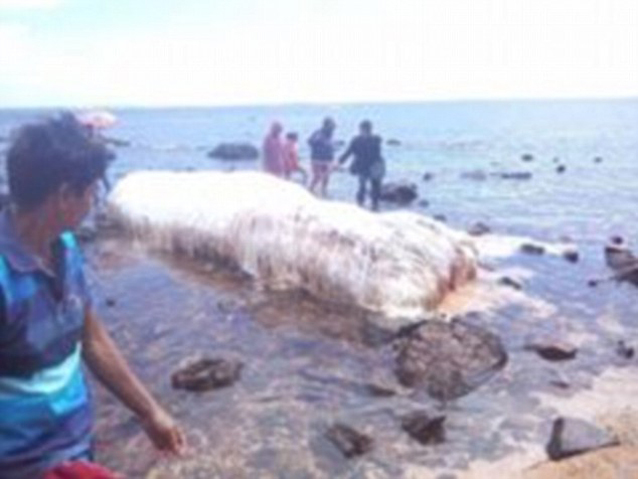 Turns out it was a whale that had been decomposing in the brine. 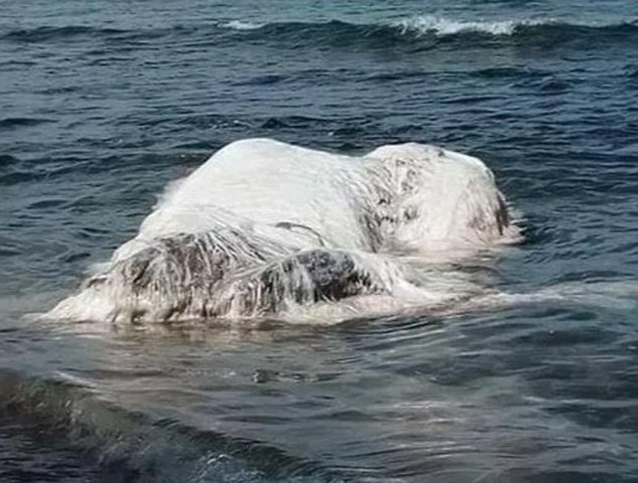 It is thought the mass of carrion was a living creature only two weeks ago before it was likely struck and killed by a ship.Its remains had likely been decomposing in the sea before coming to rest on the beach.